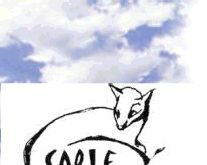 "Know A Sable Book by the Fine Art Cover"
Sable Publishing accepts unsolicited submissions. Our submission guidelines are as follows: A well thought out query and synopsis and the first three chapters if desired. When a title appears interesting we may request more information and the manuscript. Writers should be prepared to wait for our response. We are overwhelmed with queries. To resolve this problem we have established a monthyly Chapter Contest, Poetry Challenge and Short Story Contest. For information please go to the first page. We are selectively building a list of titles that stand out for their artistic covers, literate, creative and productive authors. Sable Publishing is selective and works closely with authors to to develop individual talents. We pursue Foreign rights, television and film rights and create treatments and scripts and storyboards for film and television series. New! Our artists will Illustrate your Poetry Book, Non-Fiction and Fantasy Books! DOWNLOAD SABLE PUBLISHING and SABLE BOOKS PUBLISHED TRADE PAPERBOOKS CATALOG (1 minute; 13 pages: Marketing Information including Book Cover Images and Author Photos for our titles. No part of Sable Publishing books may be reproduced or transmitted or republished in any other format or binding or in any form or by any means, graphic, electronic, or mechanical, including photocopying, recording, taping or by any information storage retrieval system without the written permission of the publisher Sable Publishng. Art reproductions, digital images of original works remain the copyright of the artist Hyacinthe Kuller Baron, all rights reserved by Hyacinthe Kuller Baron and may not be reproduced in any form without permission from the artist.